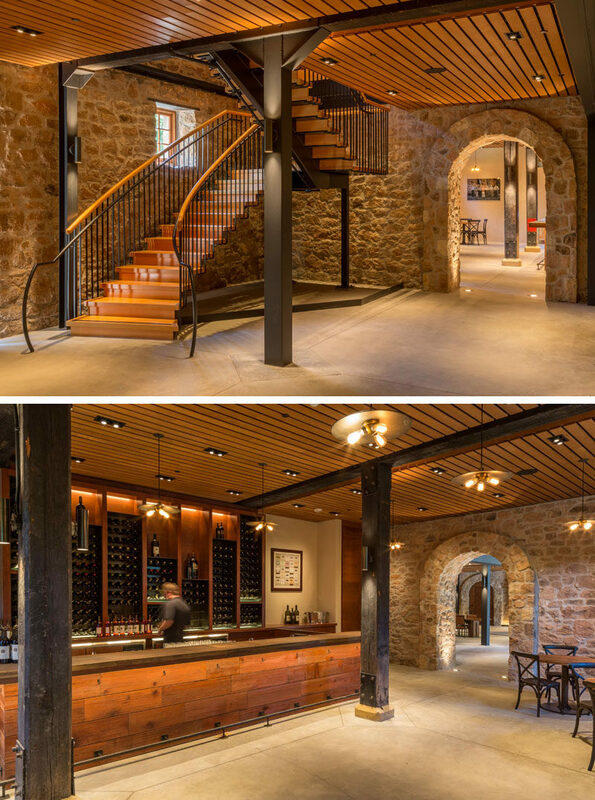 San Francisco firm, SB Architects, were tasked with the renovation of Freemark Abbey, a historical building in St, Helena, California, that was founded in 1881 by California’s first female vintner. 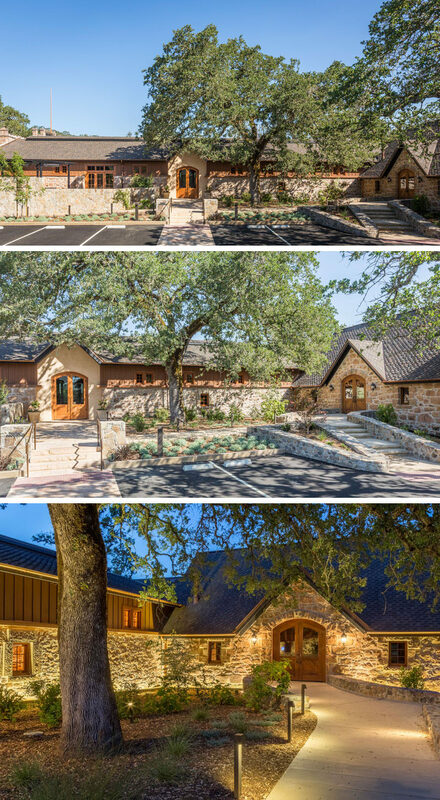 Working together with Jackson Family Wines, the buildings were renovated to include updated interiors, a new tasting room, and signature restaurant, Two Birds One Stone. 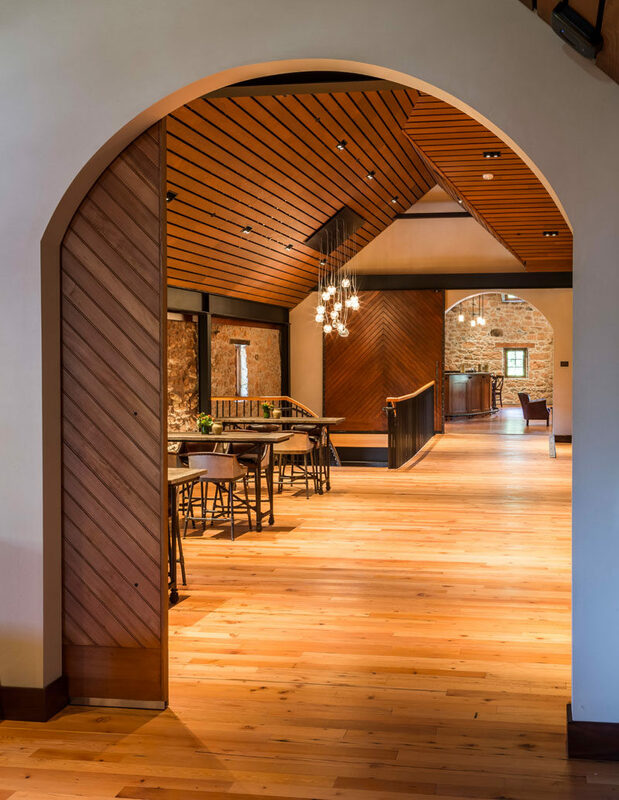 Contemporary touches like recessed lighting were added to the interior to highlight the stone work of the original building. 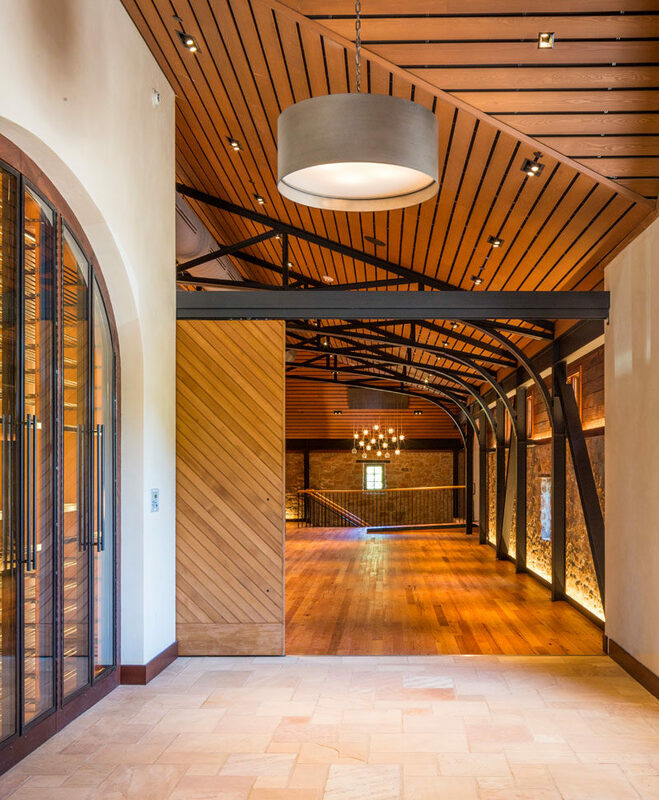 White walls and wood ceilings and doors create contrast in the space, and specially designed steel trusses add a touch of drama. 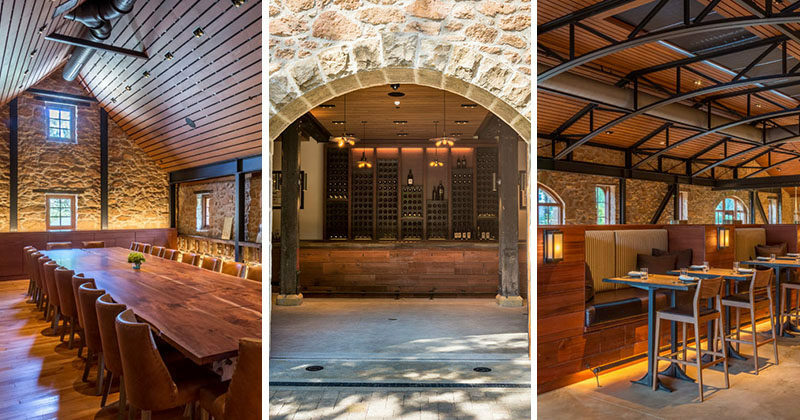 A large six-foot wide skylight runs the entire length of the ridge line over the dining space. The floor within the building was updated with distressed Douglas Fir flooring. 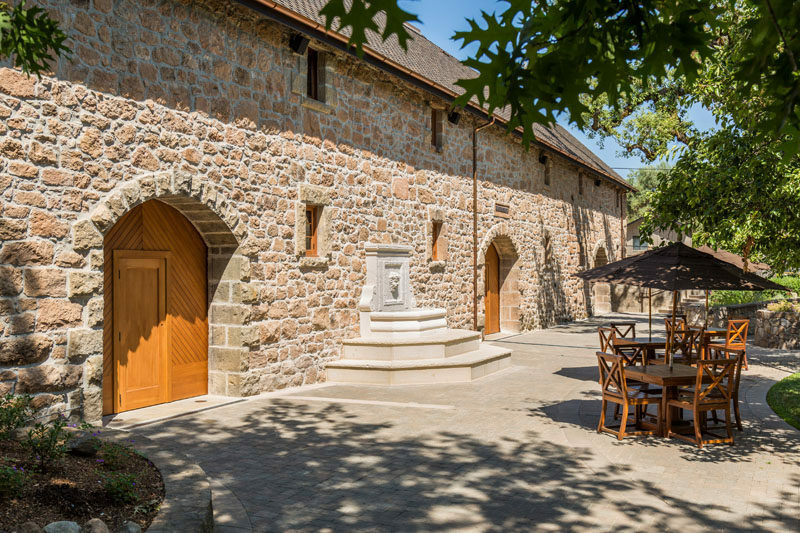 Stone archways and large wood doors open up to the courtyard outside.